Soccer fans everywhere are thrilled that the World Cup is currently underway. If you love soccer and love hosting parties, then hosting a World Cup soccer viewing party is a fabulous idea. If you’ve never hosted a viewing party before, you might feel a little overwhelmed. Lucky for you, we have some awesome and clever ideas to help you set the scene for your very own personal viewing gathering. There’s more to decorating for a World Cup soccer party than just throwing up the flags of the country or countries you’re rooting for. Let your creative juices flow and try to incorporate anything soccer related or country/region themed related into your party decorations. You also will want to give your party guests a means of displaying their own pride. If you’re on a budget, give face painting and/or temporary tattoos a try. This allows your party goers to display their personal team’s colors with pride. It also allows everyone at the party to see which guests root for which team, which makes the competition that more fun. No great party is complete without delicious snacks. 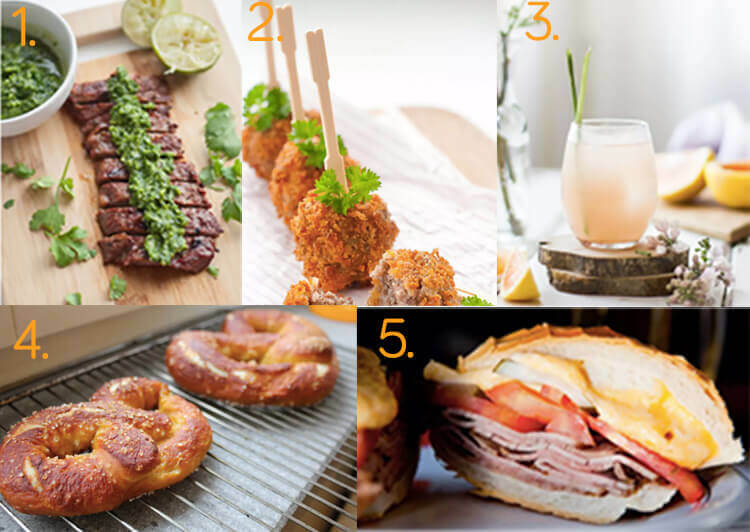 Instead of the pizza and sandwich route, try offering soccer themed dishes and unique foods filled with flavor and style. If you really want to get fancy, try to offer a series of dishes that complement the current game’s teams. This is especially a great idea if you’re planning on hosting multiple viewing parties throughout the World Cup. For example, if France and Australia are playing against each other on the day you’re hosting your first viewing party, prepare some authentic French and Australian dishes for your guests. Let’s never forget about dessert, either. Baking a soccer-themed cake is not only a great birthday party cake idea for little ones, but it is also the perfect way to get your children involved in the dessert-making process for a World Cup party. If you choose to serve country-based dishes for your viewing party, stick to the theme and bake country-themed desserts too. You can also keep the desserts generally geared toward soccer with soccer cupcakes, cake pops, and cookies. While watching the game will be the primary focus, you will also want to keep your guests entertained with exciting little games and competitions like tournament pots and soccer themed adult piñatas full of adult goodies. And, let’s not forget about the little ones because chances are they will want to participate in some age-appropriate World Cup games and activities themselves. Keep the pint-sized soccer fans busy with soccer arts and crafts and outside fun by setting up a soccer field or piñata in your yard. You can award winners of games with great themed prizes or even offer door prizes to the guests who display their team pride the best. The World Cup is a monumental tournament that brings the world together in the spirit of competition. Let your World Cup party be a monumental party that will be talked about months down the road. Happy watching!